Slowly, peace returns to the streets. The sports enthusiasts slowly disappear from the sidewalks as the cold air no longer lures them outside. It gets cool, the joints heavy and winter comes. However, this does not mean that you have to do without a little sport and fun. 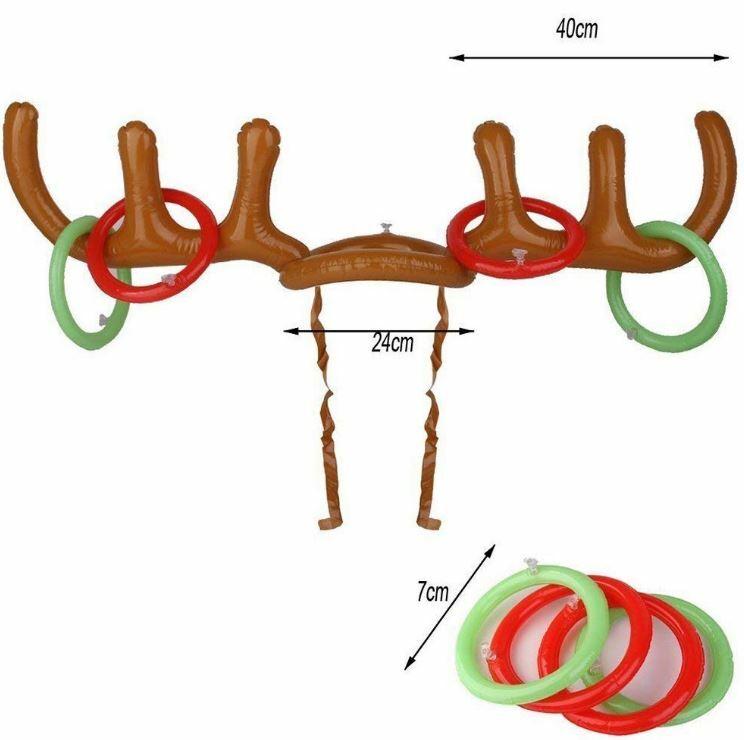 In the season of Christmas celebrations in companies of all kinds, the inflatable reindeer antler for ring throwing creates a sparkling alternative to the prospect of an evening characterized by silent sitting and light skirmish of Christmas music in the background. The unusual idea of the Christmas gadget should provide a mood warmer. Especially when some mulled wine has already flowed. With a length of 40cm per side of the horns, the meeting with the enclosed rings, which are just as inflatable, should succeed in also beginners throwing successful. A prerequisite for this is, however, that the wearer of the antlers keeps still accordingly! In order to guarantee the fixation on the head, the gadget is provided with ribbons by which the antlers can be adapted to each head form individually and find hold. A little effort is only required from the party participants to the extent that one of the participants has to sacrifice himself for the inflation of the components. For a little bit of flair, it is also recommended that the participants turn around themselves a few times before the competition in order to raise the difficulty factor a little. However, later in the evening this may not be necessary if many have already looked too deeply into the glass. Of course, the gadget is also suitable for the celebrations around Christmas Eve and the following days with the family.